Every cat-loving pet parent knows that their purring friends don’t like messy and smelly toilets. 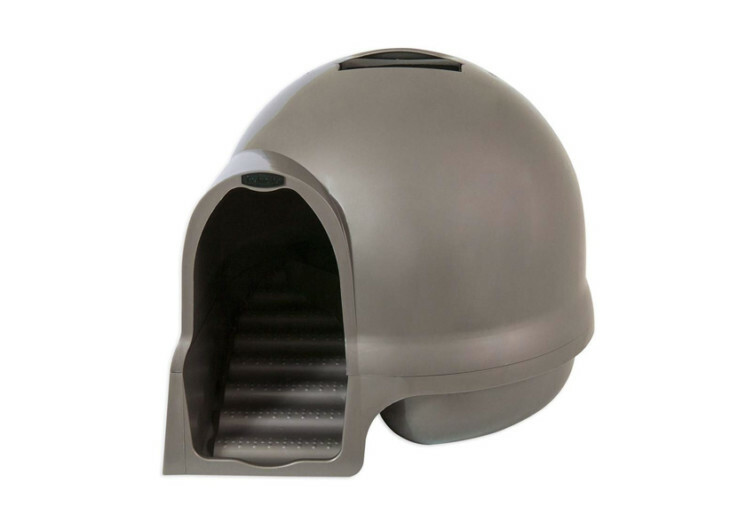 And if you have a cat that also doesn’t like doing its business in full view of everyone, then the Clean Step Litter Dome should be a great contraption to have. Featuring a number of enhancements to the classic litter box, the Clean Step is not only a neat-looking litter box. It is also a private commode that your kitty can call its own. The Clean Step is a nifty enclosure that will never allow the pet waste odors to permeate the entire room. It’s like an igloo except that it doesn’t have a long entranceway. 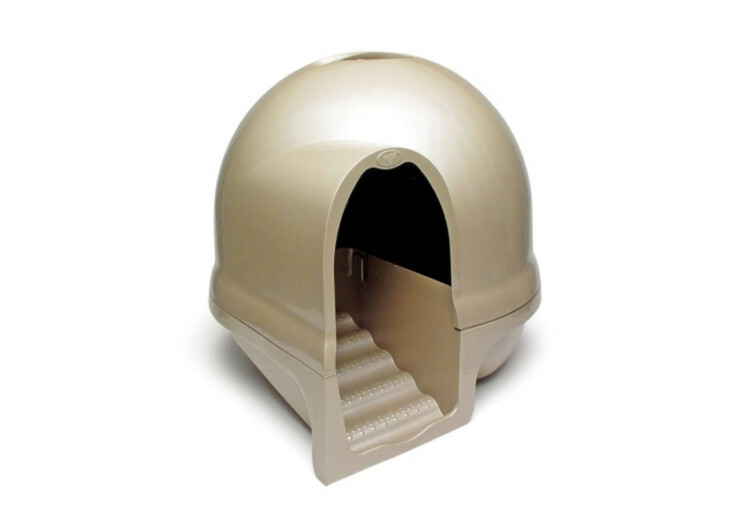 The circular litter dish inside the dome also comes with a stairway for easier access. The steps of the stairway come with textured materials that trap litter as your cat steps out of the Clean Step. It’s a nifty design that can help prevent litter tracking inside your home. 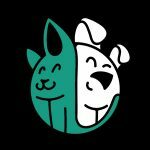 The litter dish is also 50% larger than conventional litter boxes. Your cat can maneuver all it wants inside. The dome is high enough to allow for ease of movement while the top comes with a filter. This element is what traps the nasty odors, keeping your room environment smelling fresh and clean. Since the filter eliminates these pet waste odors, the litter section of the dome remains smelling fresh. Your cat will have no issues going in to do its business one more time. Removing the litter from the Clean Step is easy. The unit comes as a two-piece contraption that consists of a base and the dome. The dome comes with a handle that allows for easier lifting during transport and for fitting the dome into the base. Since the base is circular, cleaning is a breeze. There are no corners which litter can occupy, making it difficult to remove. Underneath the top handle is a slot for inserting the odor-eliminating filter. The dome itself features pet-safe plastic construction. This also helps improve the ease of cleaning. 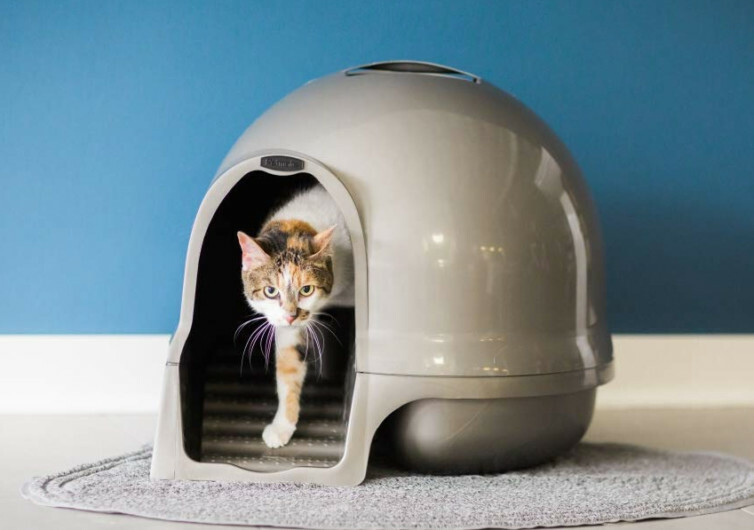 There are no windows on the dome so your cat can have all the privacy it needs every time it does its business. It may not be a self-cleaning litter box, but the Clean Step is a worthy contraption to get for your pet nonetheless. It can be great way to keep your modern home smelling and looking nice and clean.